Anti-Pitchfork: New Kanye West single 'Facts' drops on New Years Eve - Stream it! New Kanye West single 'Facts' drops on New Years Eve - Stream it! It's New Year's Eve, but that's not stopping Kanye West from working. The iconoclastic rapper released new single "Facts" tonight, just a few hours before the ball was set to drop in Times Square. It's his first single since this year's grimy "All Day," and it's ostensibly cut from West's upcoming new LP Swish. (The title may have changed — Kanye isn't precious with names — and there's no release date in sight.) There's no embeddable version yet, but you can listen to it on SoundCloud here. West's wife Kim Kardashian West kicked the hype train into high gear with a tweet Thursday evening that suggested new music was on the way. The song is West's take on Drake & Future's "Jumpman," one of the highlights from the duo's collaborative September mixtape What a Time to Be Alive. The beat's a little gentler but the flow's the same, and he shouts out the song, its creators, and a dozen assorted athletes (mostly because of their various apparel contracts). He suggests that Kardashian West's new Kimoji emoji pack made the couple "a million a minute," which is impressive but not unbelievable; he gets excited over the success of his Adidas shoe line and talks about wanting to design and build his own hotel. "Facts" is one of just a handful of singles West has released in 2015. The aforementioned "All Day" was officially released in March, and Rihanna / Paul McCartney collaboration "FourFiveSeconds" was released back in January. He also uploaded a few outtakes to his SoundCloud page in mid-October. He didn't spend much time working on music, but West had plenty on his plate this year anyway: he kept making inroads in the world of fashion, announced he'd run for president in 2020 in an incendiary VMA speech, and fathered his second child. This is also the second straight year West's released a single on New Year's Eve: he closed out 2014 with the sweet, paternal "Only One." This isn't a particularly momentous entry in West's discography, but we can hope it means more music is on the way. 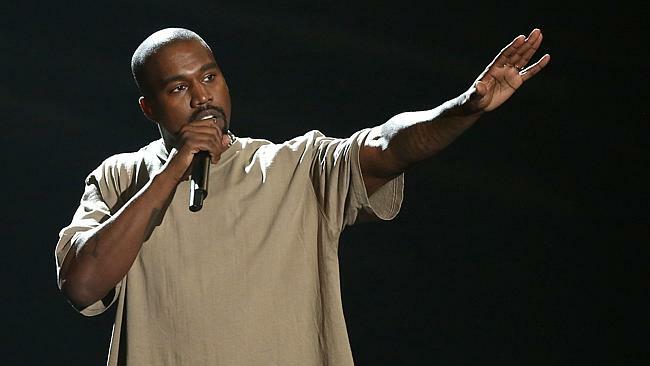 Labels: New Kanye West single 'Facts' drops on New Years Eve - Stream it!